This is an 11" Spartan with a dyed maple rim and a Dobson tone ring. It has a walnut neck with a clown peghead and an ebony overlay. Goat skin head. 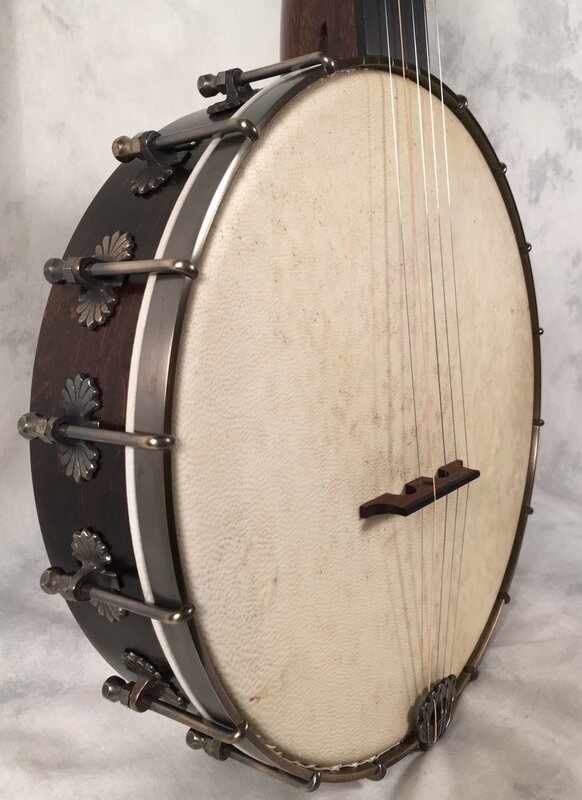 This banjo went to a customer in Portland, OR.